Caesars Entertainment has released a ton of new renderings and information about their new development project that has the potential to recreate the Center-Strip into a whole new area. The “Linq” project will be located across the street from Caesars Palace and will run along the street. One of the main attractions of the “Linq” will be the world’s largest observation wheel. This giant wheel will rise at 550 feet tall and will hold 40 people in each “ball.” This wheel will require 6.6 million pounds of steel to construct. This project will break ground at the start of September and is estimated to be completed in 2013. Absinthe is also listed in our Vegas iPhone App. Don’t forget to head to Vegas Hipster, find us on Facebook and follow us on Twitter! We reported on this one earlier, but it’s worth repeating due to popularity–The Flamingo will host the brand new Jimmy Buffet’s Margaritaville Casino starting October 1. 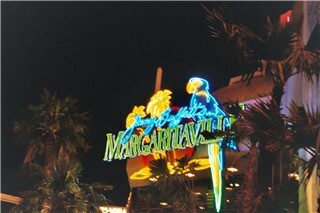 It will be an addition to the Margaritaville Restaurant, and parrotheads can enjoy Buffett in Vegas October 15 and 22. The casino within a casino already has quite a bit of interest, and we’ll keep you posted when it opens. The Tropicana’s Mob Experience saw some hard times recently and, though some artifacts and displays remain open, is scheduled for a January relaunch after an update. As one door closes, several new ones to restaurants have or will open. In light of customers opting to spend a little less on dining out, the Vegas restaurant scene has shifted appropriately to include affordably-priced dining experiences. Famous Washington, DC chef Michel Richard recently made his Vegas debut Wednesday with 24-hour cafe Central Michel Richard, the first all-hours cafe created by a James Beard award-winner. 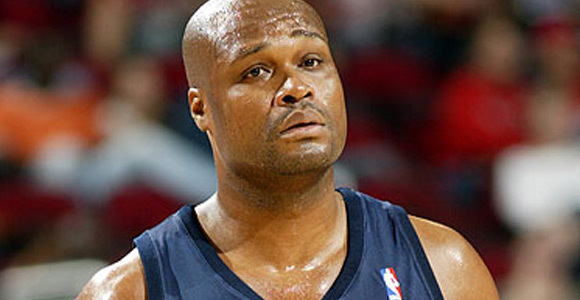 Central Michel Richard is in the main lobby of Caesars Palace and serves Richard’s signature California-French food. Planet Hollywood got two new places last month, with the Las Vegas Chocolate Shop and Lobster ME in the Miracle Mile Shops. Las Vegas Chocolate Shop offers chocolate bars, dipped strawberries and truffles, and even baked goods, sugar candies, and coffee. If you’re looking for a little bit more adventure in your eating experience, Lobster ME has you taken care of. They advertise the world’s best lobster rolls, lobster ice cream, lobster on a stick, and even lobster mac and cheese. Finally, a new gastro pub at the Venetian titled Public House will open by the end of the year. If that’s not enough to get you going, we have the Vegas iPhone App to help you find the best Vegas experience for you. Enjoy, and be sure to check out Vegas Hipster, find us on Facebook and follow us on Twitter! Labor Day Weekend Preview – Nelly, Jersey Shore, and More! 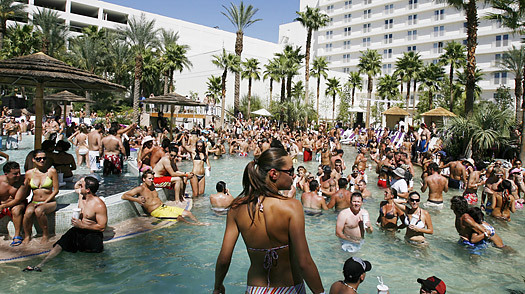 It’s gearing up to be another great holiday weekend in Vegas, where the stars will be coming out to play. Among those in attendance will be superstar rapper Nelly, who is hosting at Chateau Nightclub beginning at 10pm on September 2. That same night, Jersey Shore stars Sammi “Sweetheart” Giancola and Deena Nicole Cortese will host at Gallery Nightclub, while fellow cast member DJ Pauly D headlines Ditch Fridays at the Palms Pool and Bungalow, then Clash Fridays at Rain. Will.i.am from the Black Eyed Peas will take over Encore Beach Club, while Skrillex and Lil Jon will be posted up at Encore Nightclub. Saturday, Nicole “Snooki” Polizzi will continue the Jersey Shore invasion when she hosts at PURE at Caesars Palace ; Mike “The Situation” Sorrentino will be at Luxor’s LAX. Akon will be at Chateau, and Carmen Electra will head to the Tropicana’s Nikki Beach. Sunday, rap is in full effect, with Flo Rida heading to Haze, New Boyz at Rain, and Will.i.am at XS. If you don’t want to end the weekend yet, Vegas has you set for Monday too, with Fabolous and DJ Hollywood helping close the Jet nightclub, which will reopen as 1OAK on New Year’s Eve. For a complete list of nightclubs, you want the Vegas iPhone App! Track the hundreds of nightclubs we have in our database, complete with price ratings, photos, reviews, and contact information for all the best in Vegas. Enjoy, and be sure to check out Vegas Hipster, find us on Facebook and follow us on Twitter! Jersey Shore’s JWOWW (alias Jenni Farley) will be hosting at Pure Nightclub tomorrow, August 27 from 10PM to 2AM. JWOWW, a graphic designer by trade, just wrapped things up on the latest season of MTV’s Jersey Shore, and as we’ve been reporting, many of the cast members are in Vegas doing a variety of things. You can get more information on Pure by clicking HERE, and also, make a quick visit to Caesars for a cheap room to go see her! Also, the Vegas iPhone App is FREE for a limited time only! 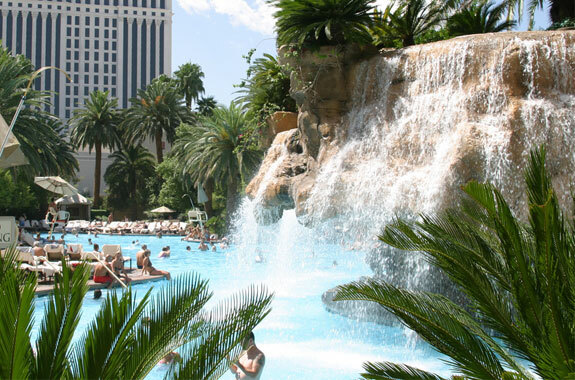 Get all the best of Vegas at one touch. Enjoy, and be sure to check out Vegas Hipster, find us on Facebook and follow us on Twitter! Can a 66-year-old man kicking soccer balls into the crowd and singing songs about legs and sexiness fill up 52 shows in two years? We’re all about to find out. Legendary entertainer Rod Stewart began his two-year run at Caesars Wednesday with a show simply titled, “The Hits,” featuring nine of his very best songs, including “Hot Legs,” “You’re in My Heart,” and “Every Picture’s Worth a Story.” Stewart is backed by a nine-piece band and three vocalists, and has massive LED screens and a smaller one in front of him. He even kicks soccer balls into the crowd during “Hot Legs,” a tribute to the Celtic Football Club he enjoys supporting. Stewart, who has sold more than 100 million records worldwide, will be playing at the Colosseum during the next two years on and off, and we wish him the best. For more information and hotels, check out our link to Caesars . Also, the Vegas iPhone App is FREE for a limited time only! 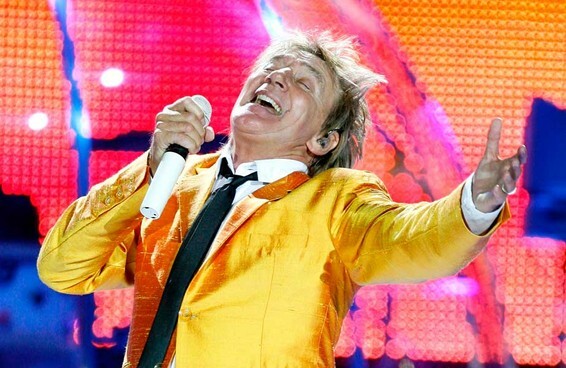 Track the hundreds of attractions like Rod Stewart we have in our database, complete with price ratings, photos, reviews, and contact information for all the best in Vegas. Enjoy, and be sure to check out Vegas Hipster, find us on Facebook and follow us on Twitter!